Year after year, a huge segment of Matt Mieras’ business returns for new financing needs, a tribute to his level of knowledge, his integrity and his genuine care for his clients. He takes time to understand borrowers’ financial goals and is an expert at structuring a loan to achieve those goals. The first weekend after Matt Mieras graduated from college, 53 inches of snow blanketed his Michigan hometown. That was enough of the cold for Matt! He drove to Charleston the next weekend and was hired as a loan officer just two weeks later. Matt says, “My sister, who was in the mortgage industry, spoke about the rewards of helping people get into a home. That was big factor in why I pursued the career. I enjoy meeting folks and hearing where they are from. That was the catalyst for why I decided to stay in the industry.” Matt is with CMG FInancial to serve as Charleston Market Leader, bringing over 13 years of mortgage experience to the Charleston market. He says, “My focus is on growing the team in the Charleston area and building relationships with real estate agents, developers and builders.” He regards himself as a specialist in VA, FHA and USDA and renovation loans. Matt is very active with the Charleston Trident Association of REALTORS (CTAR) and its Reading with Realtors® program to improve the literacy of underserved in 2nd-4th grades. In addition, he is involved in Camp Happy Days, a special annual camp for children with cancer. 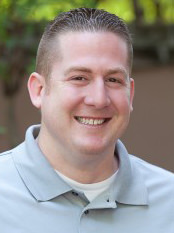 Matt Mieras, Branch Manager NMLS# 245686 GA# 49120 765 Long Point Rd, Suite 101 Mt. Pleasant, SC 29464 Branch NMLS# 1594871 © 2018 CMG Financial, All Rights Reserved. CMG Financial is a registered trade name of CMG Mortgage, Inc., NMLS# 1820 in most, but not all states. CMG Mortgage, Inc. is an equal opportunity lender. Georgia Residential Mortgage Licensee #15438. To verify our complete list of state licenses, please visit www.cmgfi.com/corporate/licensing and www.nmlsconsumeraccess.org.